10 seasons. 236 episodes. Lots of guest stars. There were famous people on Friends who didn’t even realize how famous they’d come to be, making cameos and guest appearances throughout the years. If you’re not catching reruns constantly and haven’t watched in years, you might not even remember these Friends guest stars. These are the famous actors you forgot guest starred on Friends - could they BE any more nostalgic? 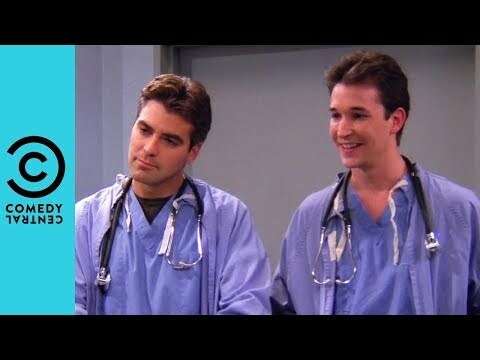 Episode: "The One with Two Parts"
This was in 1995, when Clooney was on ER as Dr. Doug Ross, which is why it’s funny that he was playing a doctor on Friends. In the episode, Noah Wyle, also from ER, guest stars too, and he and Clooney’s characters go on a double date with Rachel and Monica. 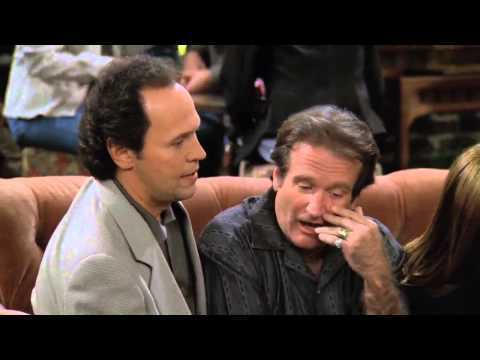 Episode: "The One with the Ultimate Fighting Championship"
Williams wasn’t alone in this episode, guest starring alongside Billy Crystal, who played Tim. This is a pretty legendary duo to have appear on your show, and in this episode the characters they played, Tomas and Tim, joined the Friends regulars on their couch, interrupting Monica’s story and talking about how Tomas is suspicious his wife has been cheating until eventually, Monica had forgotten what she was going to say. Episode: "The One Where Rosita Dies"
Alexander - of Seinfeld fame - played Earl, the suicidal man who talks to Phoebe when she’s working as a telephone sales woman at Empire Office Supplies. Eventually Phoebe talks him out of committing suicide. Episode: "The One with the Rumor"
Jennifer Aniston’s then husband Brad Pitt played Monica and Ross’s old high school friend, Will Colbert. It turns out that Colbert doesn’t like Rachel because she was mean to him in school, but he attends dinner with the gang and it results in hilarity.